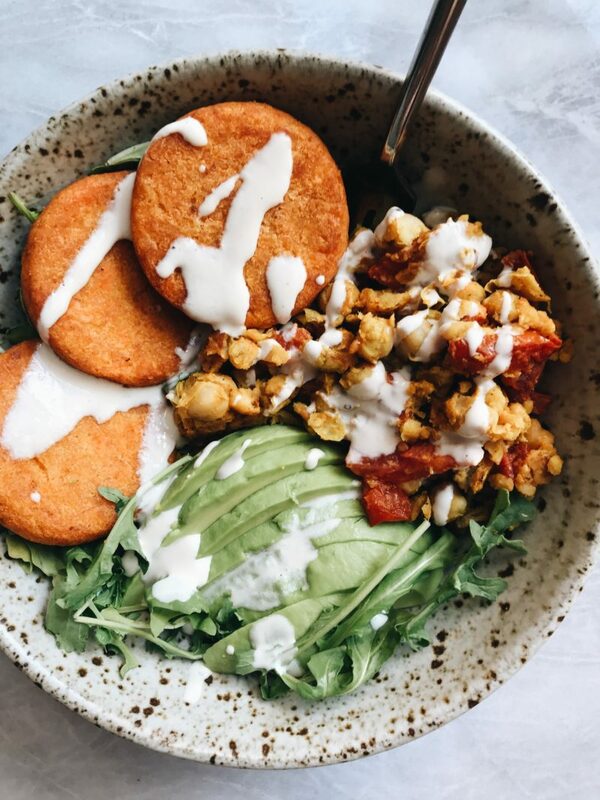 Make these delicious breakfast bowls packed with chickpea scramble, sweet potato hash browns, avocado and more! I seriously love a nice and hearty breakfast bowl with so many different flavors and textures. 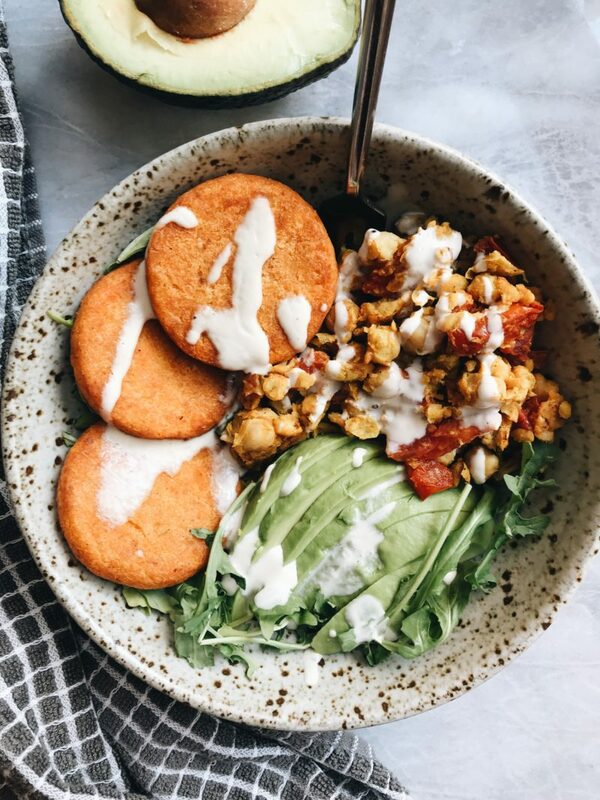 I realized that I didn’t have a proper breakfast bowl recipe on the blog, so I knew I had to change that. Awhile back I created a recipe for chickpea scramble that went over really well. I completely understand that people may not like tofu, and I can relate to the fact that people may be allergic to soy. As someone with a nut allergy, I recognize different types of allergies and I try my best to cater to all people with different allergies. My favorite part about this bowl are the Dr. Praeger’s Sweet Potato Hash Browns. Something that I literally ALWAYS have in my freezer. They’re sweet but savory, and have a hint of brown sugar in them. I also use these for other meals besides breakfast, just because they go with so many other flavors! However, I find the combination of the sweet potato hash browns with the other savory items in this bowl go great together. Dr. Praeger’s is my go to for all my veggie burger needs. 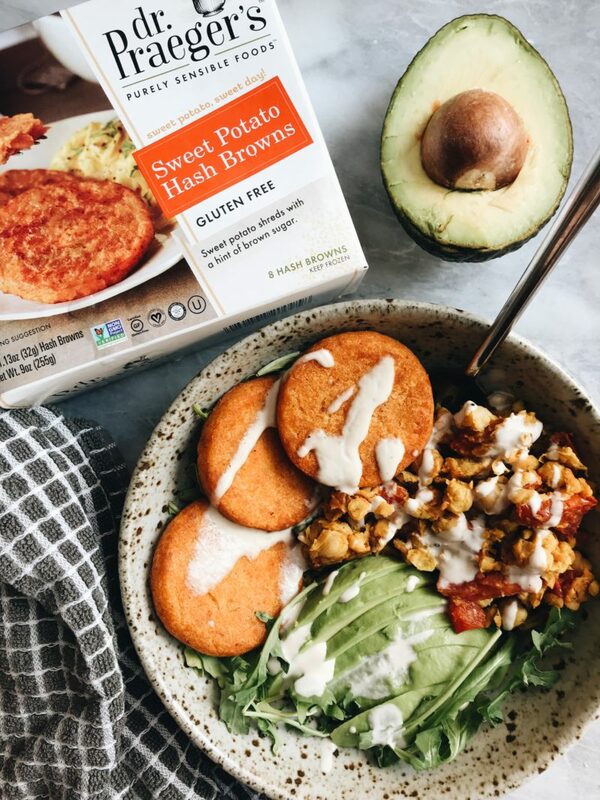 Their Vegan items include other types of hash browns besides the sweet potatoes, as well as puffs & brussels sprouts cakes. Their products are so versatile that not only will I have them in sandwich but I’ll also throw their veggie burgers in pasta, as well as tacos! I paired everything together with this spicy tahini sauce using hot sauce. 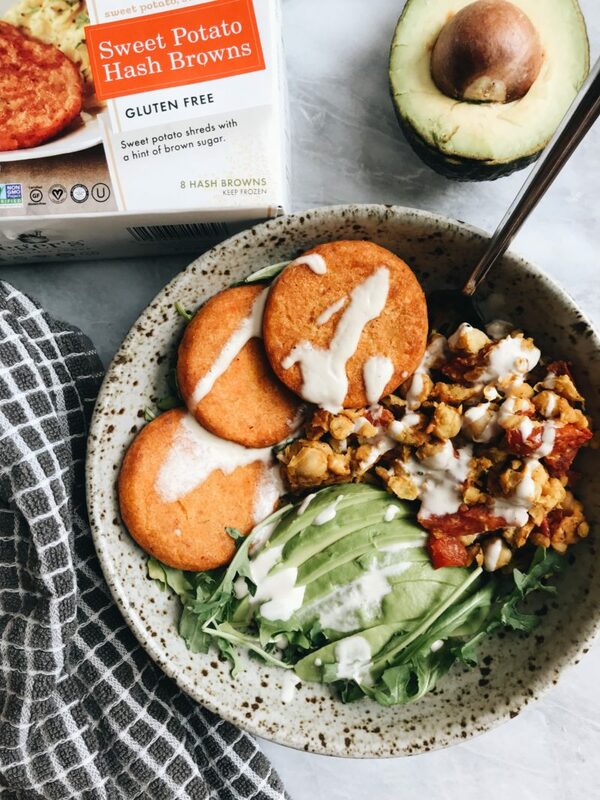 It pairs everything together so nicely and is a great contrast to the sweet potato hash browns. 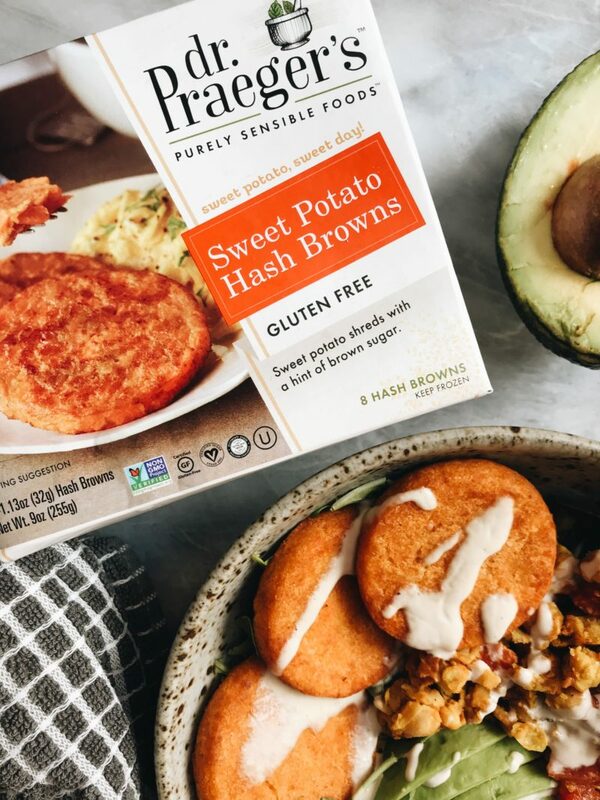 To find the sweet potato hash browns (or any other Dr. Praeger’s products) click here.